The last couple of weeks it seems we have been buried in bits of beehive! For a while it felt like spring was here with a rush, as our first delivery of hives and equipment arrived just as the sun came out and the bees were flying (they were even collecting pollen from the Crocuses). Then, this week the snow arrived and the delivery is all packed neatly away and I wonder if it was all a dream! Well, with photos now taken of all our new beekeeping products, and the wintery weather outside, it’s a good time to update our website (now dreaming of fast internet connection to the farm!) So, please check out our new range of polystyrene hives and lots of new equipment/treatments. 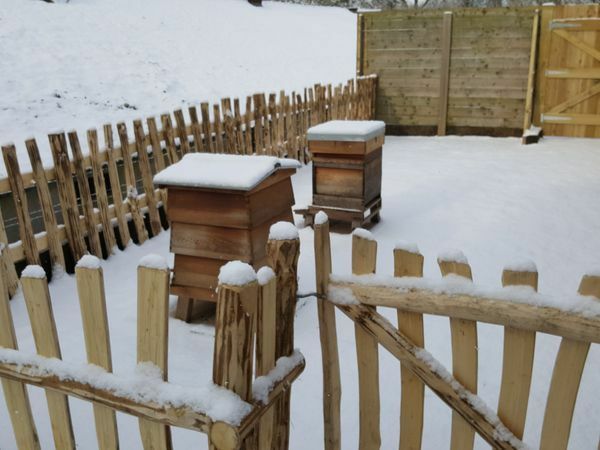 The snow has given us a chance already to use our new pollen feed and hive quilt to help our bees through this cold spell. 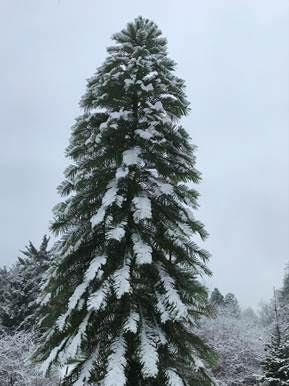 This month we have a new article about Bedgebury Pinetum. We wanted to feature this amazing place on our doorstep after we spent some lovely time there last year when Ernie was volunteering for his Duke of Edinburgh award. The Pinetum runs a great volunteering scheme where you can get involved and find out more about the trees. Have a read of our feature below - it could be your new place to unwind and escape. Whether collecting your first birds or adding new blood to a flock, a sturdy and reliable carrier with adequate ventilation is essential. 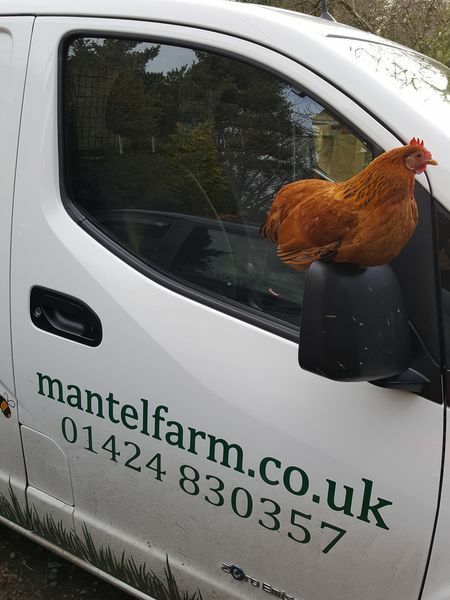 So, whether you are starting that new experience, or just off to top up the flock, have you considered how you are going to transport your new additions home? Some suppliers will be expecting you to provide a carrier, some may supply a box of some sort, others may have them for sale. This month, Jason takes a close look at the various options available when transporting your poultry. A heavy duty cardboard animal carrier, ideal for transporting your small animals. Complete with carrying handles and air holes and a strong triple layer base. One box is suitable for 3 Bantams or 2 Hybrid Hens. 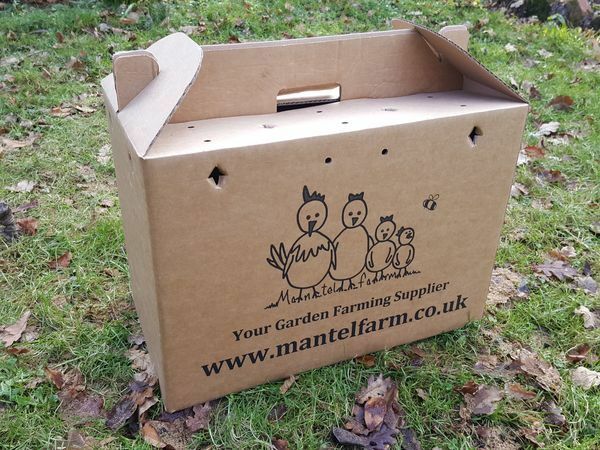 These purpose made re-usable carriers are perfect for arrivals and departures at our Chicken Tripper animal boarding stays, and for all of your poultry purchases in the Mantel Farm shop. With a bit of luck we may be able to make a quick inspection later in March if it reaches about 12 °C and light wind. 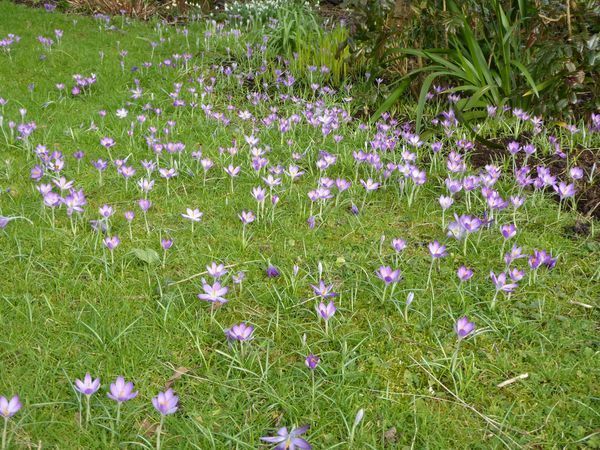 I have already seen the bees taking in crocus and snowdrop pollen so am sure they all have brood. But in this brief first inspection I shall concentrate on seeing if this is worker brood (hopefully no drone, indicating either queen loss or drone laying queen) and that they have space for the queen to lay in. These great little hives are perfect for small colonies of bees, their insulating properties helping the colony to thrive. They can be kept as a spare should a swarm come along (or you need to catch a swarm from your bees!) Used for splitting a colony and much more. 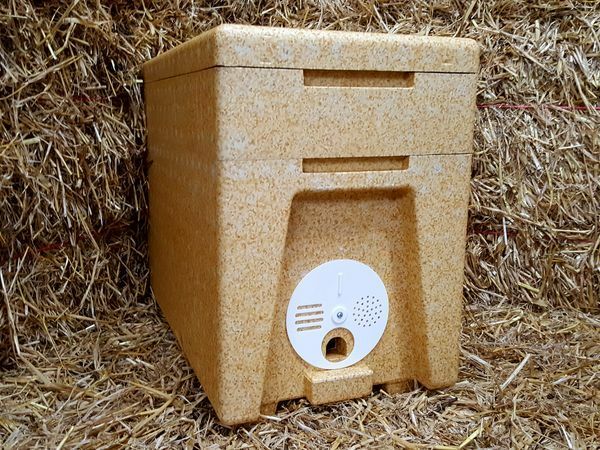 Our Six Frame Nucleus hive includes a Brood Chamber, built-in open mesh floor, a Miller-style feeder and lid. Both National and WBC Compatible. Comes pre-assembled. Made from Polystyrene and supplied with shaped runners. 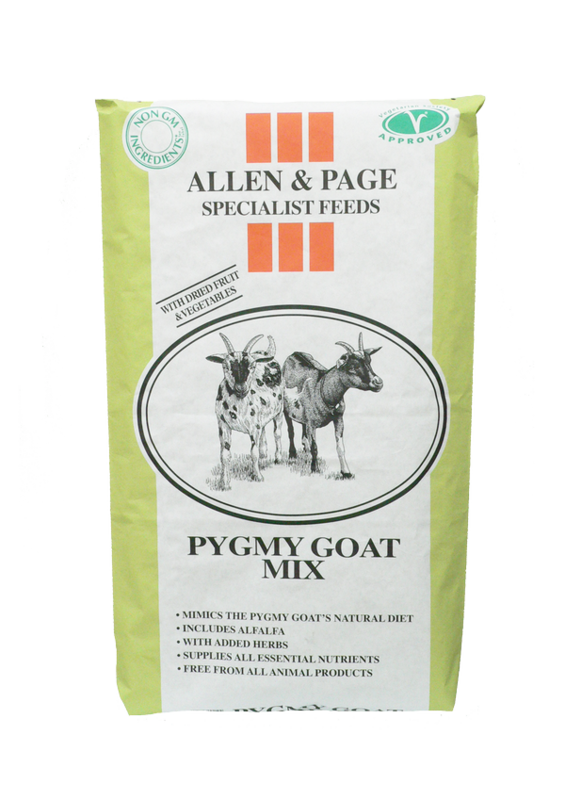 Fibre is crucial for all breeds of goats so should make up the largest portion of your pygmy goat’s diet. Hay is high in fibre and should be available to them at all times throughout the year and this should be of good quality and dust free. As goats are browsers rather than grazers, they do enjoy eating from above so try feeding their hay from a rack to simulate this natural behaviour. Goats also enjoy nibbling on woody material from hedgerows so to provide added interest, try hanging branches of their favourite shrubs, such as hazel and hawthorn, alongside their hay. Read the full infomation sheet on our blog. Come and join us for an informal afternoon spent with others interested in chicken keeping. Refreshments will be provided, including tea, coffee and cake. This is both a practical and theory session. The more you handle your chickens the more friendly they become. Some people plan to spend a lot of time with their hens and others simply like to know how to handle them should it become necessary. 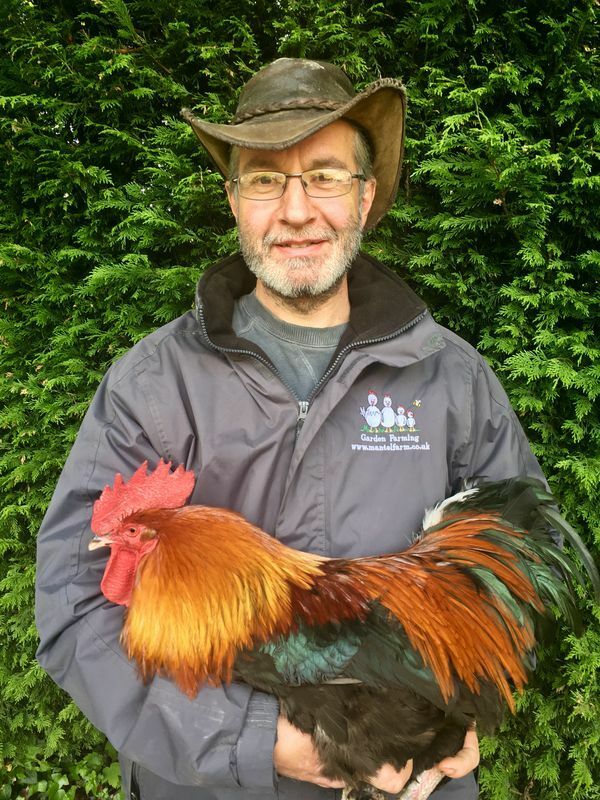 This course is aimed at all chicken keepers wishing to feel confident that they can carry out a basic health check, caring for and handling their hens in the correct way. If you also book our other 'introducing chicken keeping' course held on the same day, we provide a complimentary lunch.